Nik West plays a fierce electric bass and burned up the stage with a mind-blowing performance at the Tel Aviv Jazz Festival. It was a whirlwind of sensory overload, and it was delicious. 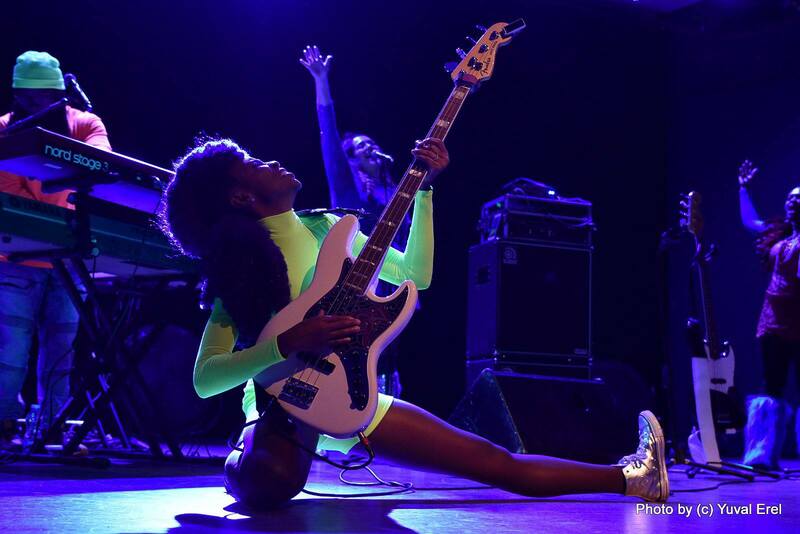 Singer-bassist West danced out in her neon yellow bodysuit, with her signature purple Mohawk and surging energy, to the theme from Mission Impossible, played by her outstanding band – Hubert Wang – guitar, Alexander Neubauer – drums, Clifton Williams – keyboards, Amber Sauer – background vocals, Nichelle West – background vocals; all decked out in colorful neon, sparkles, tulle, and swinging fringes. Purple Unicorn is a vibrant funk fantasy, Nik West’s exuberant stage persona celebrated in song: “I’ve been magical ever since I was born/I’m the Purple Unicorn.” There was a party feel to the concert, with everyone onstage having a great time, dancing and showing their moves. Dancing, posing, crouching down with the bass and almost doing the splits or bending way back, West never stopped moving. Meanwhile, in the audience a cohort of young women abandoned their seats in favor of dancing, wild and free, just at the foot of the stage. “Some of you ready for me to get funky,” Nik West announced and organized a shouting competition between the two sides of the auditorium. Playing a bass line as the cue for the audience to roar, and then determining who shouted louder for funk. After the first side shouted out, the women who were dancing in the aisle ran to the other side to yell with them. Utter madness, and so much fun! 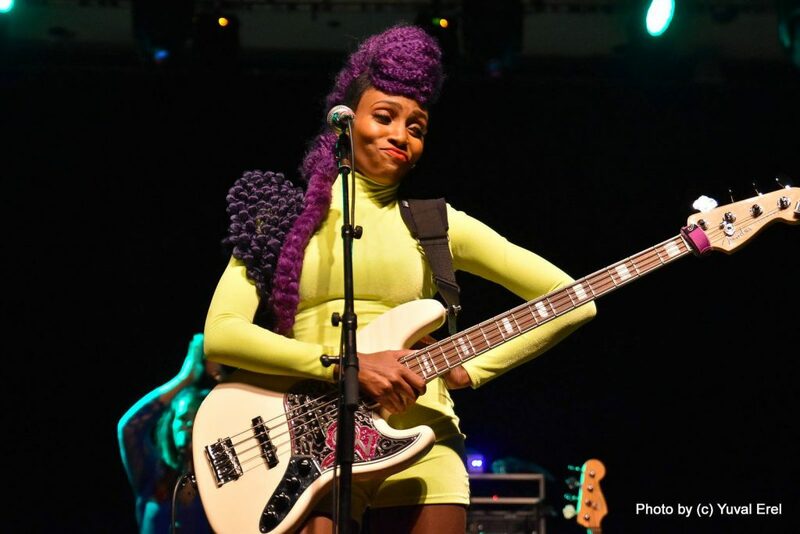 A tender moment for Prince fans came when Nik West recalled her first meeting and jam with Prince, and the advice her gave her on playing bass and on becoming Nik West, followed by performing the song she played with Prince (who was at the piano) at that first meeting – Sly and the Family Stone’s Thank You For Letting Me Be Myself. Continuing the theme of empowerment was a great song written by Nichelle West – “Grab your paper write it down/ get your moving feet on the ground” – with a fun interlude of The Beatles’ Come Together sandwiched in there. Spirits rose higher, the music funkier, louder, wilder, and for the perfect end to an amazing night they performed an encore of Prince’s Kiss.